Christmas sorted the wearable men from the boys. But who won and lost? 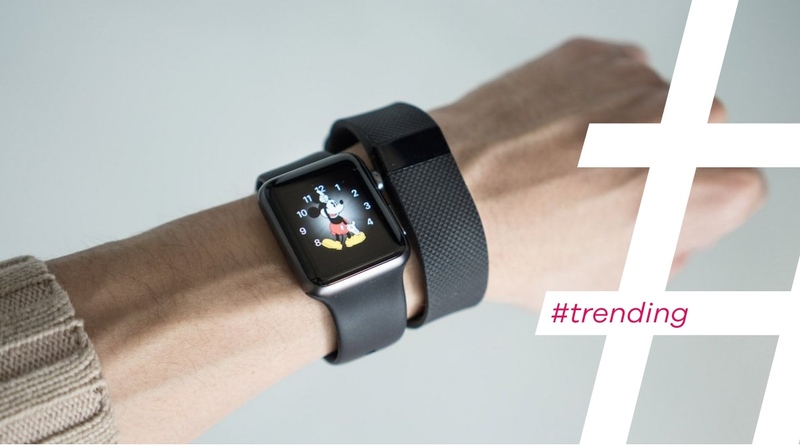 Wearable tech, smartwatches and fitness bands have enjoyed a huge breakout year in 2015, moving from virtual obscurity at the turn of the year into a part of our collective consciousness. But it was Christmas that really had the potential to be the kingmaker in the world of wearables. With the latest fitness trackers and smartwatches some of the hottest presents out there this Christmas – hoverboards and BB8 bots notwithstanding – the period was going to sort the wheat from the chaff. But who were the winners this Holiday period? With the decorations still on the tree and the fridge barely down to 50% full, there are already some indicators on the winners. Fitbit seems to be the undisputed champion of 2015, and has followed up market leading sales throughout the year with a bumper Holidays. The company surged to the top of the app store on Christmas Day, with its companion app topping the free charts, out-stripping new smartphone staples like YouTube and Twitter. The news sent its share price skywards and for good reason. Aside from printing money at the tills, Fitbit is growing an ecosystem of fitness fans to be reckoned with, and that's with a possible range of new products to contend with in the not too distant future. In the days since Christmas it's been confirmed that Chinese firm Xiaomi has managed to shift 10m of its trackers in 2015, putting it a solid third in the ranking for the year. There's been little in the way of Christmas figures, but with a new $15 biometric sensing Mi Band Pulse on the market, it's a safe bet Xiaomi has added a couple of million to its tally. But is Xiaomi making the most of its user base? There's been little development as a fitness or health platform. We haven't seen the same expansion to include partners such as Strava or MyFitnessPal as every single other manufacturer seems to have done (bar that fact that it syncs with the rather impotent Apple Health and Google Fit). Until it starts leveraging its users, Xiaomi will lag behind Fitbit as a wearable super-brand. It's the season of good tidings, so let's start with the positive: the Apple Watch will have sold handsomely this Christmas. Numbers on Wareable spiked with thousands of people looking for the best apps, third party Watch straps and tips for using their smartwatch. So why is it SQUARE this Holiday season? Well, first we will never find out just how great Christmas was for the Apple Watch as the company won't share the details. Bah humbug. But also, there are a couple of things to remember. First, the Apple Watch has enjoyed some substantial deals over the Holiday period; Apple discounting stock, BEFORE Christmas?! That simply doesn't happen. Why? That's part two: the next version is rumoured to be revealed in April, despite only being released in September. While we're sure the Apple Watch is on the path to greatness, this first version looks destined not to be remembered so fondly.